Good Eggs looks like an every-day gumball machine, but dispenses eggs containing messages instructing patrons to commit a simple good deed. A good deed can go a long way to improve morale throughout a community, and so Good Eggs is designed so that it can be easily replicable in any community setting. 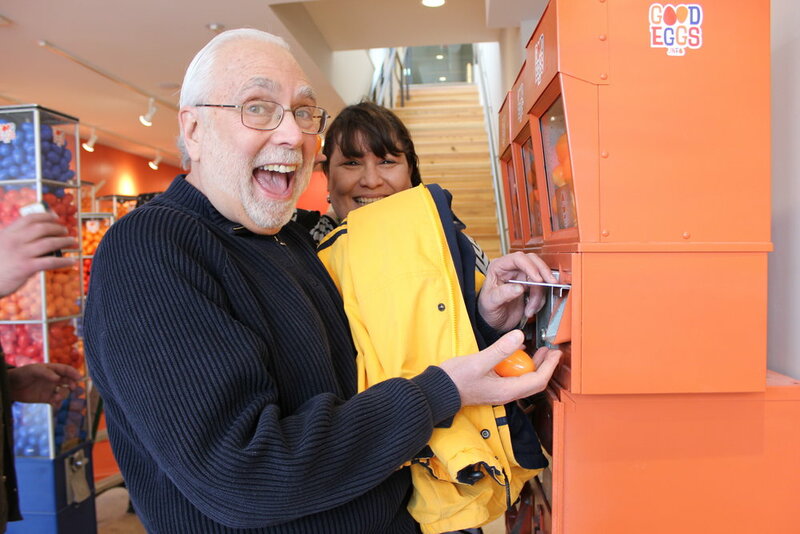 As the first People’s Liberty grantees, we created a experience around Good Eggs, a pay-it-forward initiative where one invests a $.25 from a vending machine, you get a wearable, pin, and a good deed to perform in your neighborhood. Submitted #WeAreGoodEggs submitted art via social, much love!